Home / Photography / Scene of Ao Nang Rd, Ao Nang, Krabi, Thailand – January 12, 2013. 6.53 PM. 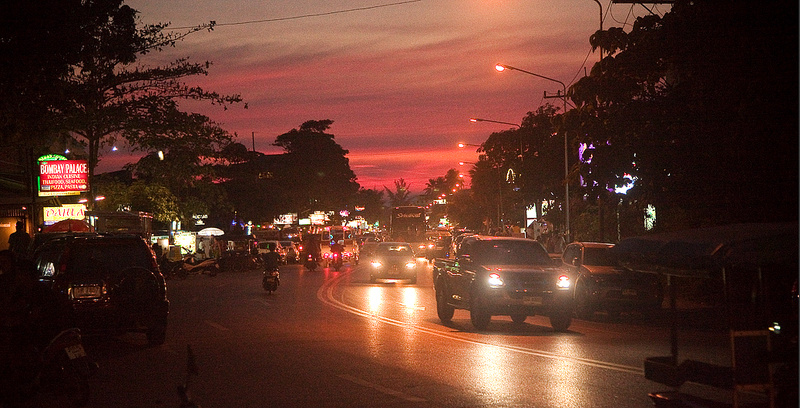 Scene of Ao Nang Road – 650 metres from Aonang Beach where the sky turn some moments of red as the sun slowly fade away into the night.